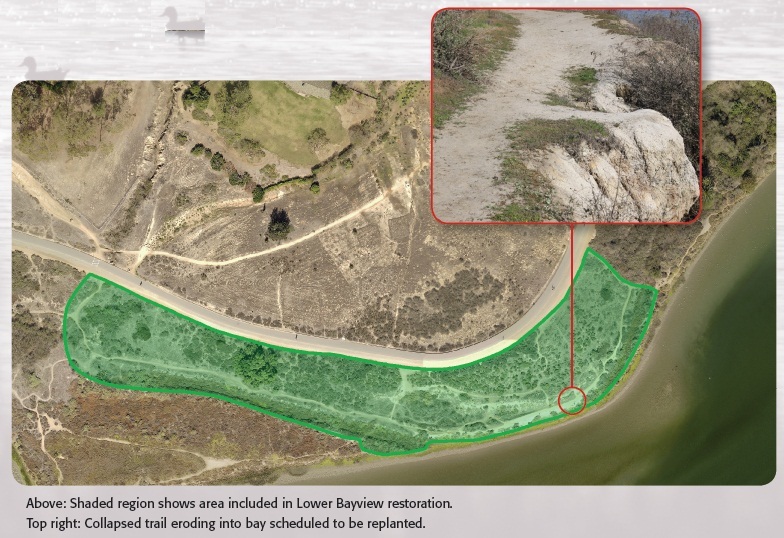 A restoration project to restore native vegetation to the upper and lower Bayview slopes and improve habitat for wildlife. Now that the site is planted help us do some supplemental watering and weeding. Restoration tools/supplies are provided. Restoration from 9-11 selected mornings. For more information or a schedule of these events send an email to info@newportbay.org. The work to be performed involves temporary fencing, removal of non-native plants and grasses, re-vegetation with native plants and restoration of heavily compacted areas. • Reduce the number of pathways on the mesa. • Repair and prevent slope and ledge erosion. • Replace non-native grass and invasive shrubs with native plants. • Improve overall habitat quality for the California gnatcatcher, burrowing owl and other species and limit human disturbance of wildlife within the area. 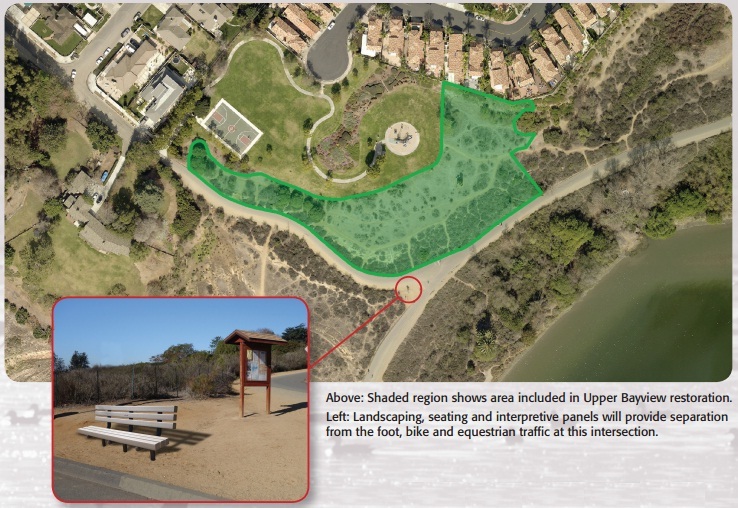 The work to be performed involves primarily the closure of denuded and compacted trails that skirt the water’s edge and are a safety and environmental hazard. • Eliminate the safety hazard of foot and horse traffic along an eroding narrow ledge adjacent to the bay. • Improve overall habitat quality for the California gnatcatcher, burrowing owl and other species. • Limit human disturbance of wildlife and shorebirds on the adjacent mudflats. A community meeting was held on October 14, 2014 to discuss the project. Download a .pdf of the presentation here; Community Presentation.